It’s when organizations have execution capabilities in their DNA, when people become successful at work, when colleagues feel more satisfied and when you waste less time by understanding each other better, at all levels, in daily routines. Why is Execution Excellence so important? As an ambitious professional, you probably have experienced first-hand how difficult team execution can be. You are not alone. With an 80% failure rate the execution gap is real for most teams! If your business environment is also fast-changing, it is paramount to create transparency in the execution progress with digital tools like ActionPlanner to stay agile and drive transformation successfully. The lower the failure rate is, the happier your colleagues are. Execution Excellence is a discipline that should be taken seriously – that is, if you want to beat the odds for success. If you have a team of 20 people or more, scattered on multiple locations and you have a big change agenda, you should an Execution Excellence framework i.e. a common way of executing. 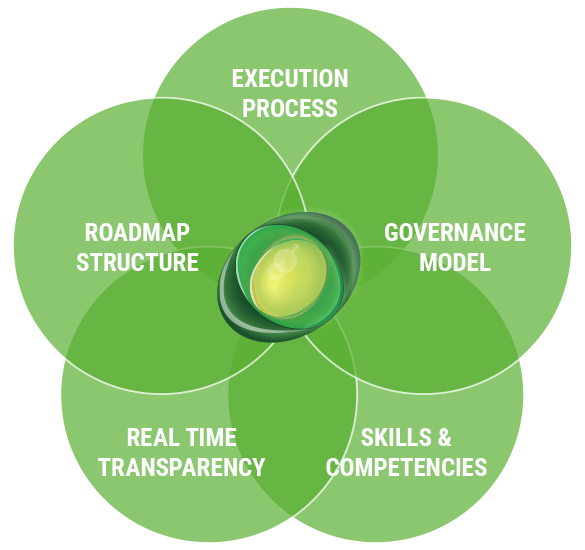 We have gathered some Execution Excellence framework aspects we suggest you consider before launching your transformation. Having a uniform process for the team helps streamlining the way you execute. Moreover, it helps the team become better and better at executing by pure repetition – practice makes perfect. How to cascade and translate high-level company objectives into daily actions on each organizational level and across teams and borders? Who should report to whom on what initiative and how often? 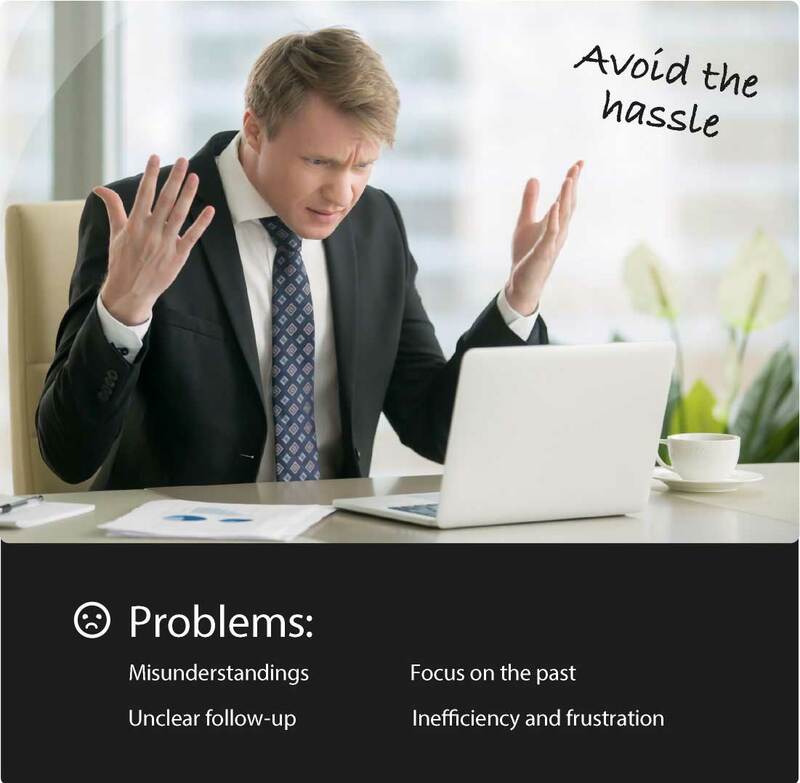 How to visualize progress over time, ensure the team is focused on the right topics, stay agile and document the history to learn from it as you go? Clear roles and responsibilities drives commitment and accountability, but also who should be informed or included about what in order to make sure everyone has the right information at the right time. Who will have what role and responsibility on various actions – big and small? How will you be streamlining the transformation terminology, color language, methodology, feedback quality, report layout, follow-up meetings and key learning points? How will you manage view and write permissions on your execution plan and insure compliance in your communication/RACI model? How to visualize progress over time, insure the team is focused on the right topics, stay agile and document the history to learn from it as you go? Often, we assume people have good execution skills. However, even people that are excellent at getting this done by themselves rarely can apply the same skills successfully in team execution. To lead change, you must first visualize it. Some teams have only a need for visibility into their transformation progress on a quarterly basis – others need daily notifications, overview and insight i.e. real-time transparency. The level of transparency you desire e.g. amount of details, focus, KPI’s? How often you need reporting (heartbeat frequency) so that you insure progress? What tools will you use to communicate, report and insure compliance? At what meetings will you be using the progress information e.g. weekly team meetings, monthly management meetings, one-to-one meetings? In strategy execution, transformation program or business execution in general you often have different levels of details that needs to be organized. 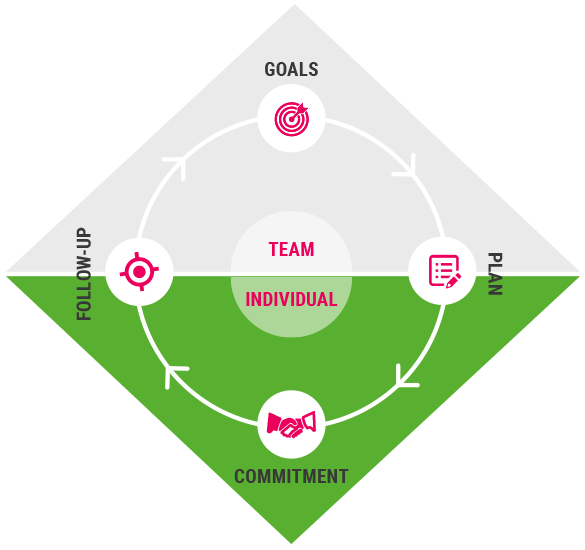 We call this the roadmap structure and ActionPlanner helps teams organise their high-level company objectives to initiatives, milestones and actions. How will you organize activities big and small so that you are nor dragged into unnecessary details? How will you in the same tool enable people to plan and execute on both initiatives that run for months or quarters and day-to-day actions? How can you enable both a top-down cascading of activities and bottom-up created execution plans? 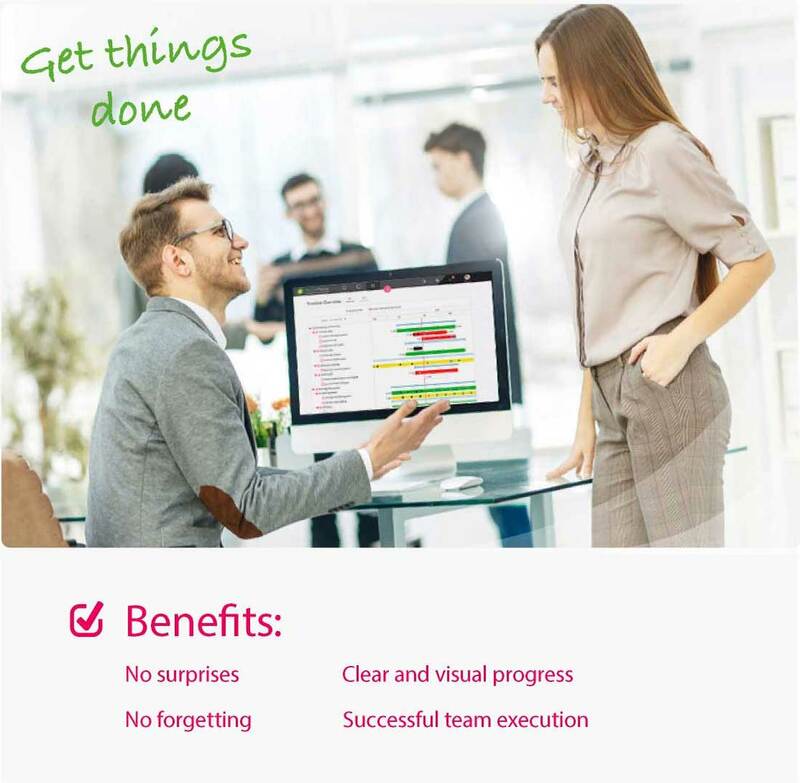 If your team is ready to embark on the ActionPlanner journey, we have thought these (and many other) Execution Excellence aspects into our simple web-application. In order to reach the Execution Excellence level, we must first be able to manage team execution in a streamlined process. The founder of ActionPlanner, Victor Veloso, developed the “VELOSO Execution Excellence process” when he was a strategy consultant helping companies execute strategy more efficiently by connecting the dots across multiple leadership disciplines into an agile never-ending 4 step circular execution process.